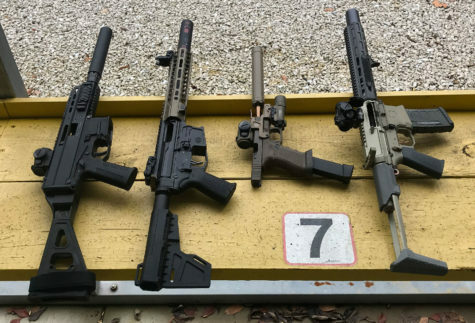 Jeremy Bedsaul of TacFix.com gives a video overview of the different bolt carrier group (BGC) choices for your AR-15. 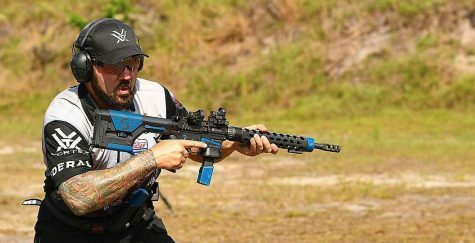 Jeremy runs the blog over at TacFix.com where he posts reviews, build videos, tips & tricks related to many pistol and rifle platforms. 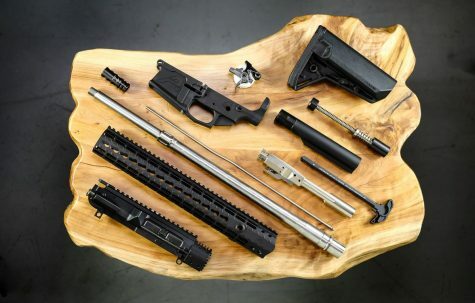 If you’re new to building an AR, choosing a bolt carrier group (BCG) for your build can get a bit confusing with so many brands, options and variations of material and coating available. We’ll try make it a bit easier for you by breaking down some of the many types of BCG’s here, giving you an idea of what to look for. Carrier. This is the external housing for the bolt and is attached to the gas key. It’s important to clean and check it regularly to ensure that the screws attaching it to the gas key do not come loose. Bolt. The bolt helps guide the round into the chamber, extracts the spent case, then ejects the spent cartridge once you’ve fired the gun. This is typically going to be made of 9310 or Carpenter 158 steel. Gas key. Also called the “bolt carrier key”, this essential part funnels gas from the gas tube into the bolt carrier. It should be tight and staked to create a seal. Proper staking keeps screws from backing out. Firing pin. A firing pin is a component that strikes the primer of a cartridge, causing the gun to detonate. Cam Pin. The cam pin keeps the bolt inside the bolt carrier and keeps it in line, it keeps the firing pin in line, it “cams” the bolt into the locked position as the BCG finishes its forward movement into battery, and it provides many more functions that are crucial to the operation of the firearm. You’ll find that there are a variety of quality M16 full auto bolt carrier groups on the market. 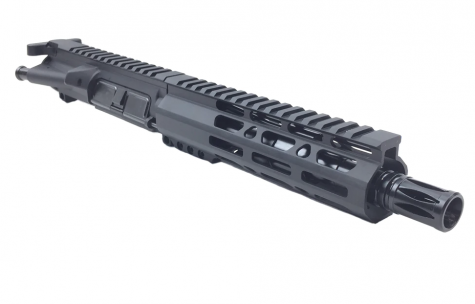 Full-auto BCG’s have grown immensely in popularity over the years, and could probably be considered the standard carrier these days. 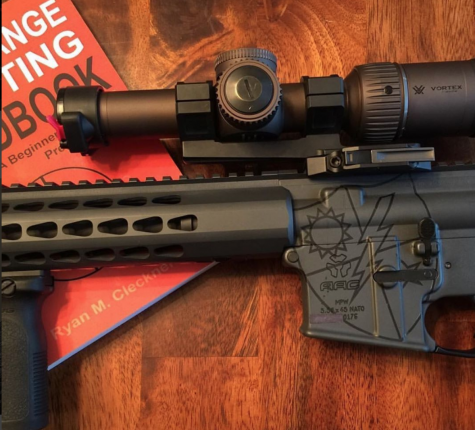 While this is a full-auto part, it is perfectly legal to own and use in your build. AR-15 semi-auto BCG’s also exist, but they have less material on the back of the carrier. The “extra” material (more specifically, an additional lug) on M16 BCG’s allows them to be compatible with a full-auto sear. M16 BCG’s weigh a bit more than semi-auto BCG’s, but this extra weight may help your rifle cycle more smoothly. 5.56/.223/.300BLK fits AR-15/M4 compatible style Rifles (i.e.) .223/5.56mm, .300 Blackout. AR-10 / LR-308 / 6.5 Creedmoor – A 308 BCG is going to be the largest of the BCG on the AR platform. 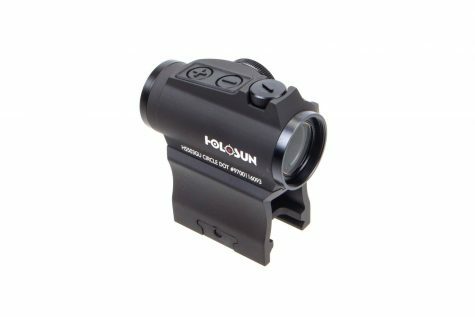 They are designed for use in the AR-10 and LR-308 style rifle for calibers in the .308 family and above. Pistol Caliber / Blowback – A pistol caliber or blowback BCG is one that is built to be used in an AR build chambered for a pistol caliber round such as 9mm or 45 ACP. 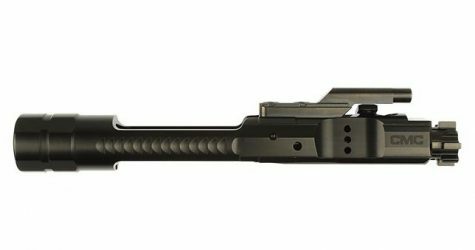 For example, the Faxon Firearms 9mm Black Nitride Bolt Carrier Group is shaped quite differently than a standard AR-15 or M16 style BCG. First, the BCG is only two main parts, the carrier and the gas key. 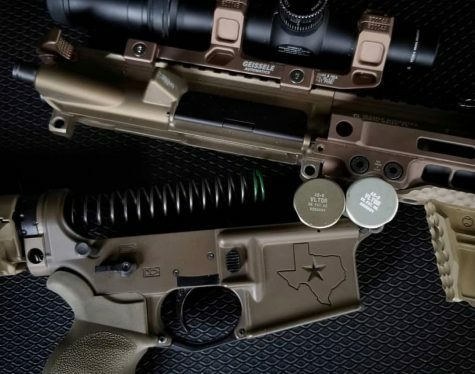 On the key the front extension that would mate with the gas tube on a direct impingement AR is missing since the pistol caliber models function as a blowback design. 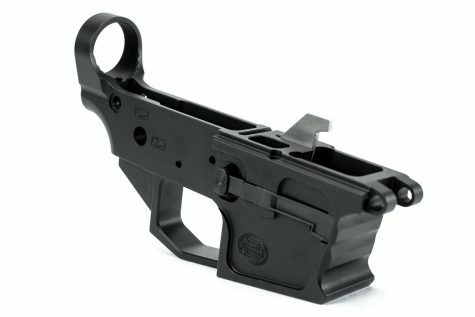 Due to this design difference the gast tube, gas port in the barrel, and gas block will be omitted in a blowback AR. The blowback BCG will also be much heavier than a standard AR BCG. The energy of the 9mm bolt needs to be dampened to reduce wear and recoil (as a sort of hydraulic shock absorption). Steel is the most common material used for bolt carrier groups because it is durable, heat resistant, and withstands wear and tear well. As an added bonus, it’s not too expensive. Different types of steel are used for different BCG components. For example, you can get a Billet carrier machined from 8620 steel, a gas key made from 4130 steel, and a firing pin manufactured from 8740 steel in one bolt carrier group, as is the case with Aero Precision’s .308/7.62 bolt carrier group. The correct steel grade for one component may not be best for another. For example, carriers are often made from 8620 steel, but this type is too weak to be used for a bolt. Aluminum is a lighter material often used for low mass bolt carrier groups. It is fairly strong but may not last as long as steel. 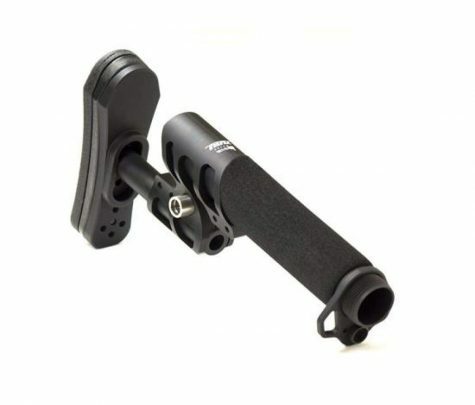 Aluminum BCG’s tend to be popular for shooting competitions and work well with guns that have adjustable gas systems. Titanium BCG’s are lighter than steel, but are stronger. They are heat and pressure resistant, but considerably more expensive than steel. This type of coating is considered mil-spec and is probably the most common coating you’ll find. It’s durable and highly resistant to corrosion. It tends to be one of the most economical bolt finishing choices. Nickel boron has the advantage of being extremely corrosion resistant and nearly friction-free. Some builders like this type because they feel it operates smoothly and can be easily cleaned. Black nitride is also referred to as “salt bath nitride” or QPQ. It is not technically a coating, but rather a treatment that hardens steel and makes it more resistant to corrosion. It also said to increase longevity and reduces friction. NP3 is a brand finish from Robar. It is an electroless nickel-based finish for steel, stainless steel and aluminum alloys. This finish works by depositing PTFE (polytetrafluoroethylene, aka Teflon) particles, along with electroless nickel. The main benefits of this coating are high lubricity and a low friction co-efficient. This translates to possibly less cleaning needed for smooth function, and perhaps less wear on the coated parts. DLC stand for “Diamond Like Carbon.” This type of coating is a nanocomposite coating that has unique properties of natural diamond low friction, high hardness, and high corrosion resistance. It is applied through a Physical Vapor Deposition (PVD) process. 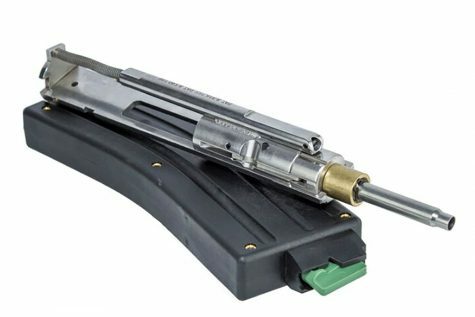 The two most common testing methods relating to the parts of the bolt carrier group are Magnetic Particle Inspection and High Pressure Testing. Magnetic particle inspection is performed on the bolt only, and uses magnetism to detect any flaws on the surface (or slightly below the surface) of a BCG. The BCG is magnetized, and iron particles are placed on its surface. If there are any cracks, divots, or scratches, the particles will be drawn to them. High pressure testing does exactly what its name suggests: it submits the BCG to very high pressures to see if they can resist the pressure of a live round. Some believe that this type of testing is unnecessary and that it may shorten a BCG’s life span. When talking about bolt carrier groups with new builders, I am often asked about Toolcraft. 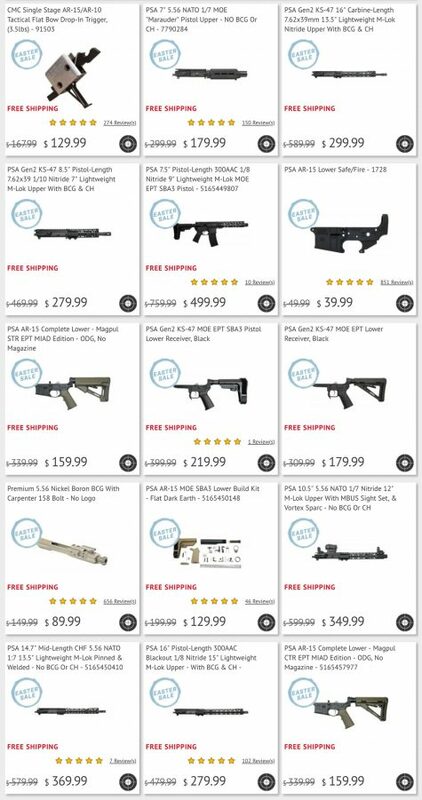 Toolcraft is simply an OEM for the U.S. military and many other large rifle manufacturers. The reason why many builders choose a Toolcraft BCG is because they are buying direct from the maker. This means avoiding some of the markup that can come from buying the BCG from a higher priced maker. Certainly, not all of the bigger name BCGs comes from Toolcraft, but many do ranging from simply engraving the other company’s logo on the carrier all the way to more custom designed carriers to fit that 3rd party company’s specifications. Jeremy Bedsaul is an avid writer, video editor, & shooter. His oldest shooting memories go back to shooting 22s with his father and grandfather out in rural central Missouri. Jeremy is a husband and father of two girls who can’t wait until they are old enough for him to share his passion for firearms with. 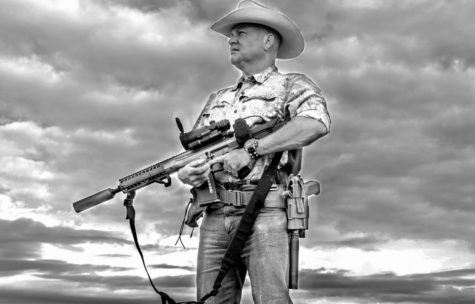 Outside of firearms, Jeremy’s interests include RPG gaming, philosophy, arguing about politics, and keeping up with the latest tech and gadgets. 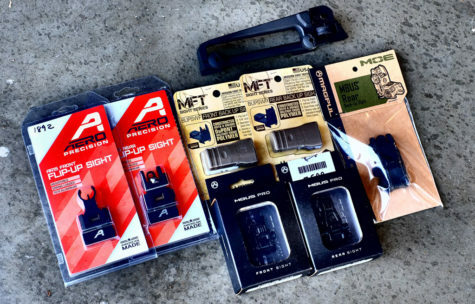 Jeremy run the blog over at TacFix.com where he posts reviews, build videos, tips & tricks related to many pistol and rifle platforms.